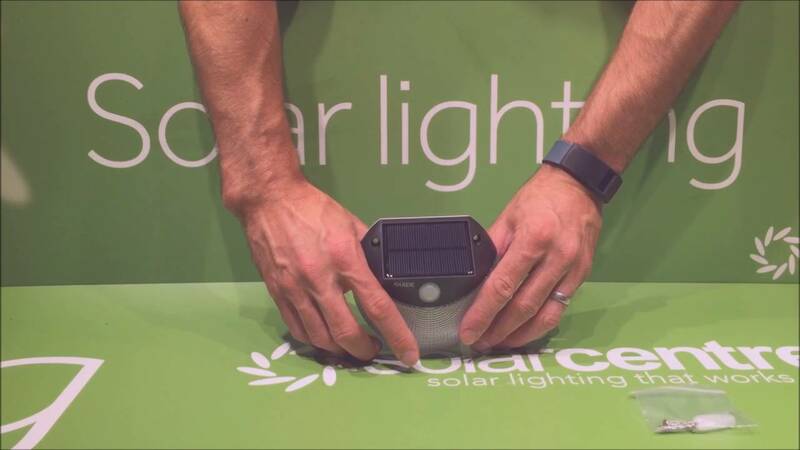 The Guide is a third generation solar security light taking brightness, ease of use and waterproofing to the next level. 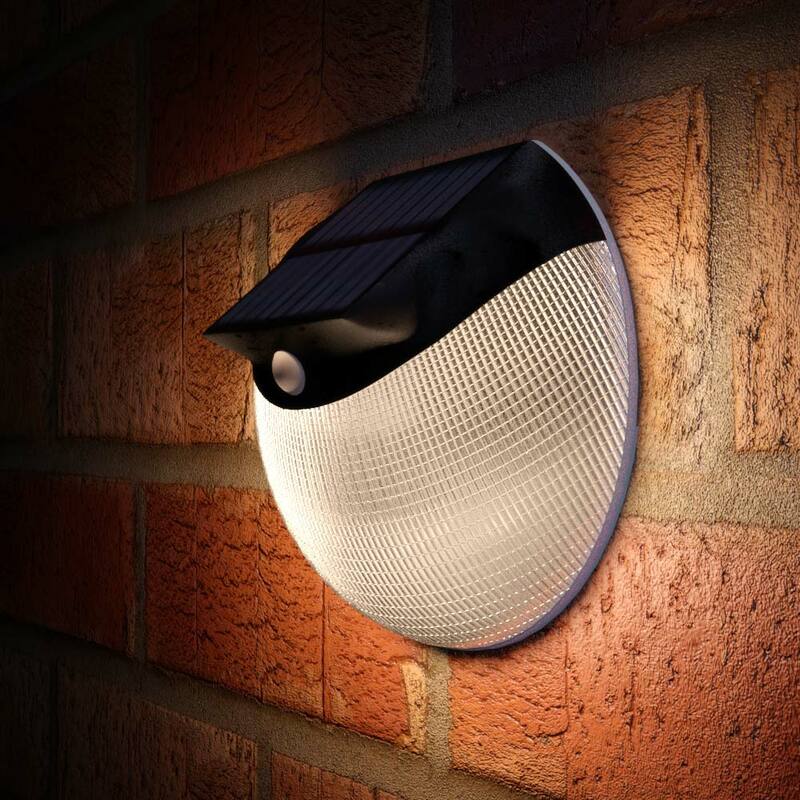 Featuring a simple DIY installation and gorgeous design this motion detecting light will illuminate every time it detects motion night after night. Suitable for use anywhere a bright motion activated light is required. A good unit worked straight away and continues to function reliably. Fitted to a wall at 2m height to illuminate an adjacent path, triggers at about 1m I had hoped for a longer distance from the side and would have liked a brighter light, however, it is adequate.. Now that I know what 200 lumens is like I will order higher output lights for further installations. Itâ€™s too early to comment on reliability. The Solar Centre ordering and delivery was fast and efficient and I will use them again. Bought to light up front door perfect. Couldn't find keyhole before now its like day light. I purchased this light for the front of my house just before Christmas. As I live opposite a park it can be very dark during the winter months when I come home from work. I was absolutely thrilled and delighted with the light it gave off! . No more fumbling around in the dark trying to find my front door keys now! I have recently bought another one for my brother in law who is a builder who was so impressed with mine. Great light! Buy it now! 5 stars!!! I needed some lights to illuminate a very dark driveway but didn't want to make an expensive mistake so bought just one of these to check out the quality and the amount of light before a committing to more.The lights are small and neat and provide adequate light for pedestrians. Overall I'm really pleased with my purchase. and now intend buying a few more to light the whole drive. Just what we needed. Seem to work very well so far. 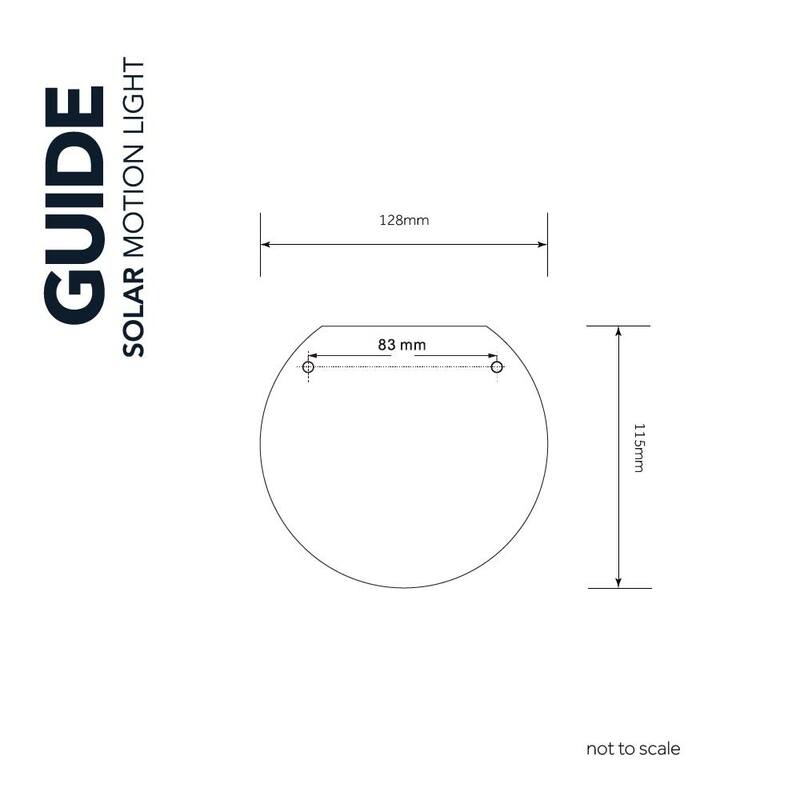 The Guide is a staff favourite here at SolarCentre with many prototype models being used around staff homes for testing purposes. Operation couldn't be simpler and once the lights installed it simply provides a mains equivalent light solution night after night - you'll have your work cut out to convince people it's not mains powered. 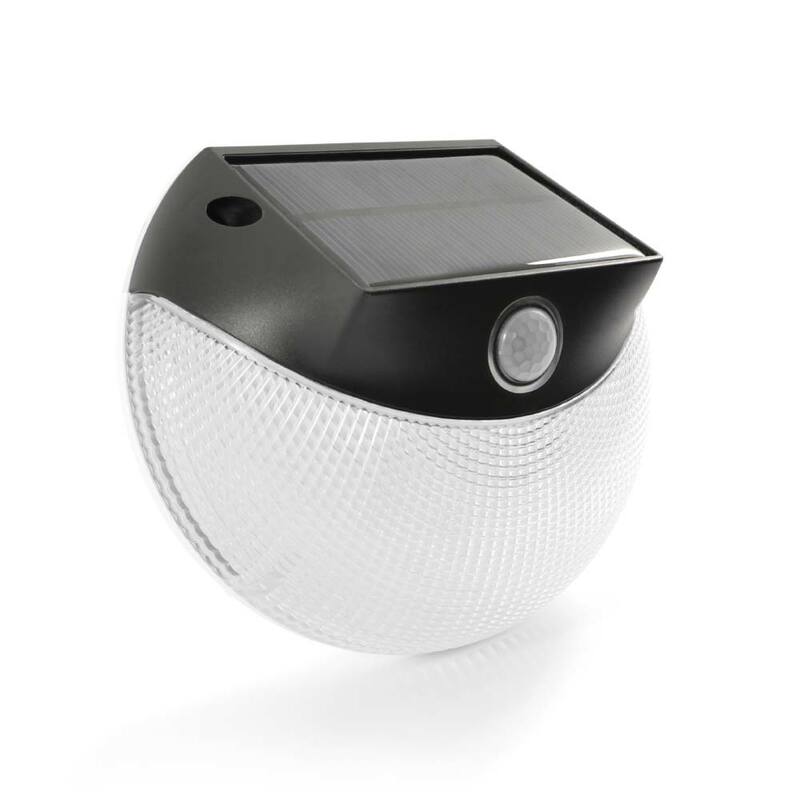 I am looking for a motion sensored solar powered light touse in the bathroom Would it work if I leave it on the window sill to charge each day ? How long does the light stay on after detecting motion? Have a long path with steps. 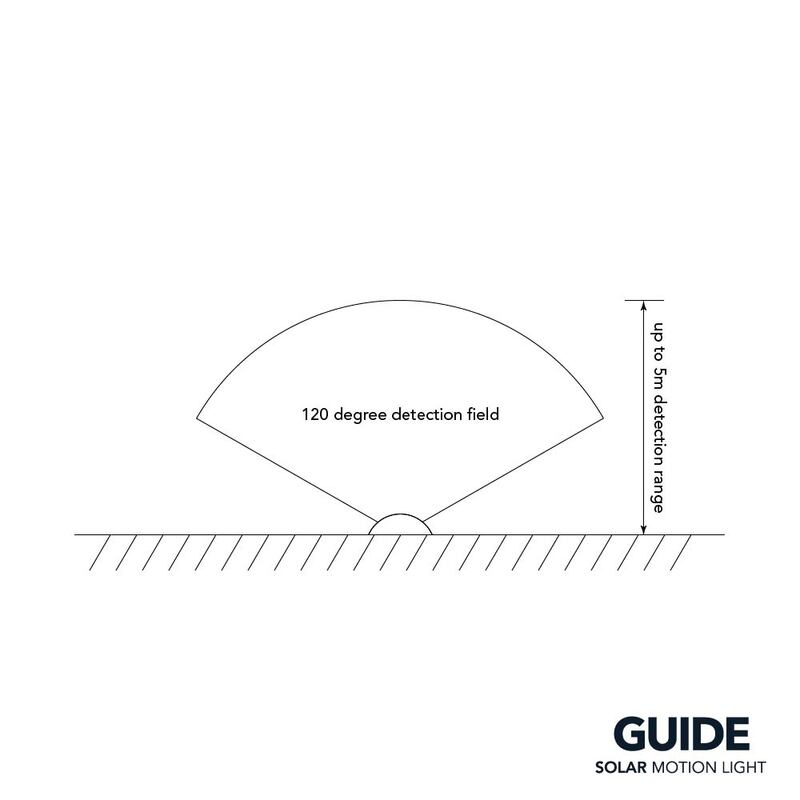 What distance between lights is recommended ? Also how high off ground for optimal performance ? Without testing them in the situation you are installing them it's hard to say. I'd suggest testing them about 5-10m apart and between 1.5 -2m off the ground. The higher off the ground the more spread of light.